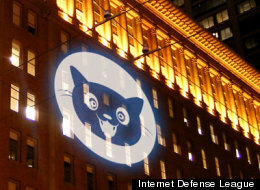 What Is the Internet Defense League? Last night Public Knowledge joined with Internet activists gathered in New York City, San Francisco, and Washington, DC (I attended the DC gathering) to formerly launch the Internet Defense League. The purpose of the league is to provide an organizing tool for many of the forces that came together to defeat SOPA and PIPA. 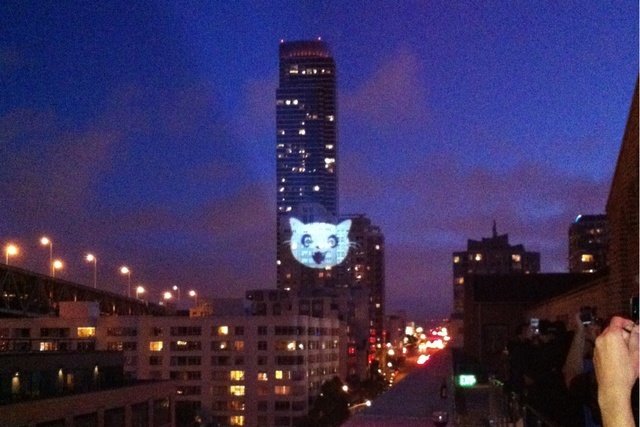 Given that beating those bills was a political victory of comic book super hero proportions, the league naturally has its own “Cat Signal” showcased here, here, and here. The IP Attaché Act now has company in the dubious club of former bits of SOPA/PIPA being floated in Congress. This week, Senator Debbie Stabenow (D-MI) offered and then withdrew an amendment to add another raft of copyright enforcement proposals to a trade bill. The amendment she offered was essentially a version of her "Protect American Innovation Act," introduced last November. It contains a lot of the same provisions we keep seeing in one form or another in various bills that continually try and insert new bits of the content lobby's agenda into U.S. law. In particular, it seeds more IP enforcement officials throughout the government (including creating a new Director of IP Rights Enforcement at the Treasury Department). ACTA: If You Write A Trade Agreement No One Will Sign, What’s The Point? Last summer, with the Anti-Counterfeiting Trade Agreement (ACTA) negotiations stalled for two years because of Hollywood insistence adding all kinds of regulate-the-internet crazy stuff, we gave the US Trade Representative and the industries pushing for ACTA some friendly advice: "Drop the crazy stuff." Officially, the U.S. government wanted ACTA to stop people from bringing actual counterfeit goods into the country, or marketing actual counterfeit goods abroad. Thats why a lot of industry groups and companies wanted ACTA. Not because of they wanted to regulate the Internet and prop up the traditional business models of the movie and music industries, but to deal with the folks making wharehouses full of fake Louis Vitton bags and knock-off Omega watches. I am always impressed with the utter unwillingness of the Entertainment industry to acknowledge the world as it actually is, rather than the world as they want it to be. Perhaps it is a side effect of being in the business of ‘selling dreams.’ In any event, I could not help but marvel at Carey Sherman’s recent New York Times Op Ed “What Wikipedia Won’t Tell You.” Mr. Sherman, the CEO of the Recording Industry Association of America (RIAA) and one of the chief lobbyists behind the push for PIPA and SOPA, just cannot believe that anyone could find flaws in the most perfect bill he and his fellow Hollywood lobbyists wrote – especially when they tried so hard to keep balanced and respect the opinions of others! Happily, Mr. Sherman knows who is really responsible for this travesty – that wicked pair of Internet troublemakers Google and Wikipedia! Who Really Engaged in Misinformation? In a blatant act of hypocrisy, Cary Sherman the chief executive of the Recording Industry Association of America (RIAA), as well as his allies, are claiming that the public was misinformed about the Stop Online Piracy Act (SOPA) and the PROTECT IP (PIPA) when they opposed those bills. As Sherman said, “misinformation may be a dirty trick, but it works.” His organization would know given that for more than a year the RIAA, Motion Picture Association of America (MPAA), and other pro-SOPA and pro-PIPA allies actively engaged in misinforming Congress on the implications of the SOPA and PIPA.